During a mobility program for teachers (Erasmus KA1) to develop CLIL (Content and Language Integrated Learning) skills in June 2017, two teachers from Hustopece High School in the Czech Republic and a teacher from Le Mans High School in France attended met. Many common points emerged: our schools are of a comparable size, have a youth audience from the rural world, begin to develop CLIL lessons to a public of young scientists to convince ... and have a culture common sharing, opening to the outside. From this formation germinated the idea of exchanging on our teaching practices CLIL nascent. 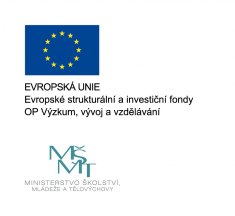 - go further in language skills : The European sections help to improve pupils' language skills in the context of linguistic reinforcement and by studying a discipline in a foreign language. - to go further in the knowledge of its territory : To exchange is also to present oneself, one's teaching and one's territory. We will use this platform to start to exchange, via different media (text, audio, video, ..) for a future meeting. We will be able to present any document allowing to better explain our territory and our learnings : they will serve to know better. This is to discuss and to present teaching practices in English, for an audience of high school science students, as its name suggests : "Let's take a CLIL together !"